Having graduated from the University of Salford in 1999, Eleanor worked at Nottingham University Hospitals NHS Trust Orthotic Department. She enjoyed working at Nottingham and over fifteen years, developed her practice becoming a Senior Orthotist within the department. 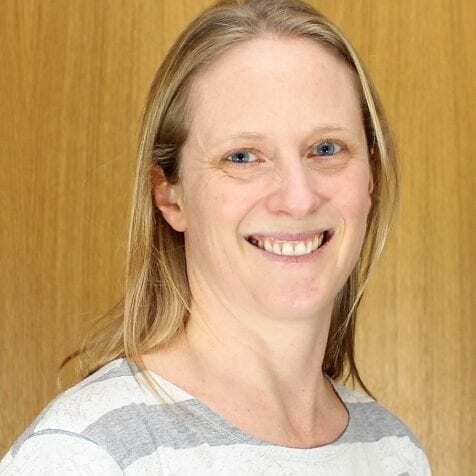 During this time, her role developed and her responsibilities included running the Paediatric Orthotic Clinic, adult Rheumatology, Trauma and Diabetic orthotic clinics clinic and managing inpatient orthotic provision. Nottingham University Hospital is one of Salford University’s undergraduate training centres and Eleanor was an accredited training officer for this undergraduate training. Eleanor is a clinical specialist in Cranial Remoulding. In 2015 she moved from the NHS to set up her own private clinic, Total Orthotics. This enabled her to develop her provision of care in her main area of interests, paediatrics, neurology and musculoskeletal orthotic care. In this role Eleanor provides her services throughout the East Midlands area, working with her own patients and team alongside other Allied Health Professionals. Her focus on Paediatrics sits in harmony with the work that she does with Technology in Motion as a Clinical Specialist in Cranial Remoulding. Knowing that change and development is continual, Eleanor maintains her Professional Development through team training both within the clinics that she supports and with remotely delivered courses. When not working, Eleanor spends time with her husband and two boys and enjoys the challenges of triathlon, open water swimming and hill walking.